When we’re not out galivanting about town, lunches in the Beijinger office often come from our favorite dumpling delivery service, Green Bites. We happen to be just around the corner from the World City location but now upper east siders can get their dumpling fix as well at Green Bites’ new location in Indigo Mall (the restaurant is a little hard to find – look on the third floor near the children’s play area). Green Bites offers a range of steamed dumplings to dine-in or take away, and are known for their "healthy" take on these carbie treats – less oil, less preservatives, organic ingredients where possible. 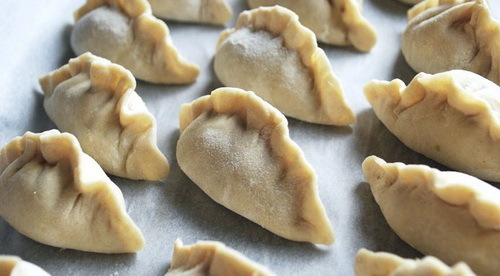 The Beijinger team are big fans of the pork and green bean dumplings (RMB 23) with spicy peanut dipping sauce, and the bright green beef and water chestnut dumplings (RMB 26), where the wrappers colored with fresh spinach juice. Those even further north can order from Green Bites’ Wangjing location, in Kirin Place. All three Green Bites locations offer free delivery within 2km for orders over RMB 30 (RMB 7 delivery fee otherwise). Scan their English menu here and order via their hotline on 4009 584 394 or via their easy-to-navigate WeChat ID: Green_Bites (both Chinese only). Choose to pay cash on delivery or with WeChat wallet.